The parking meter was invented in North Dakota. 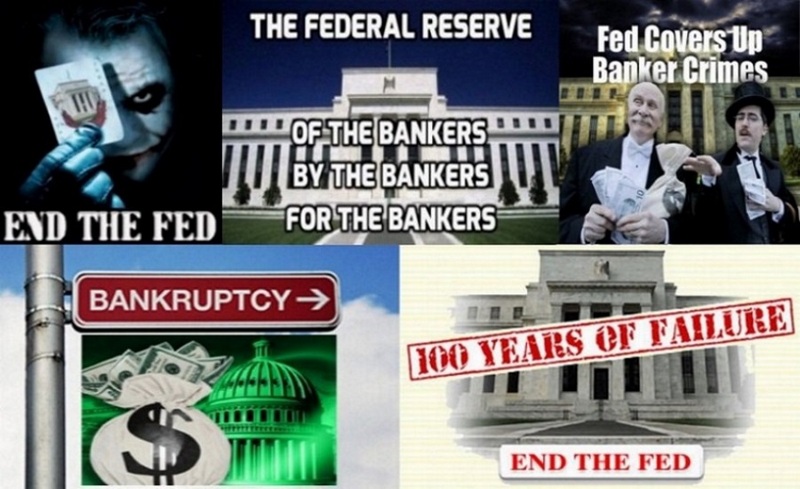 The Federal Reserve: more than 100 years of bankrupting a nation. 1. The enormity of this topic, especially with regard to the legal right to create money, requires hundreds of pages to cover properly. This will provide only a short introduction. To fully understand the power derived from creating money, we highly recommend further research into the FED. 2. For a good beginner’s guide (about 200 pages) read “Dishonest Money: Financing the Road to Ruin”, by Joseph Plummer. For a much more thorough account (about 600 pages), we highly recommend “The Creature from Jekyll Island”, by G. Edward Griffin. 4. That statement from Reginald McKenna, British Chancellor of the Exchequeris (treasury) is about as straightforward as it gets, and it comes from a man who had intimate knowledge of the topic. 6. So why is it, if creating money and controlling credit confer so much power, that so few people understand either of these topics? Shouldn’t we all be taught the dangers of such power? Is it any surprise that we aren’t? 8. The practice of deceiving governments and people about money continues to this day, because it’s the only way for the ruling elite to maintain its current power. 9. Rest assured, if the vast majority of people don’t understand central banks or how they operate, it is because they weren’t meant to. Few realize that during the last few centuries, while the peoples of the world gradually were winning their political freedom from monarchies. 10. The major banking families of the world were nullifying the trend toward representative government by setting up new dynasties of political control, but behind the scenes, in the form of international financial combines. 11. These banking dynasties had learned that all governments, whether they be monarchies or democracies, must borrow money in times of emergency & that by providing private funds, with strings attached, of course; gradually they could bring both kings/political leaders under their control. 12. 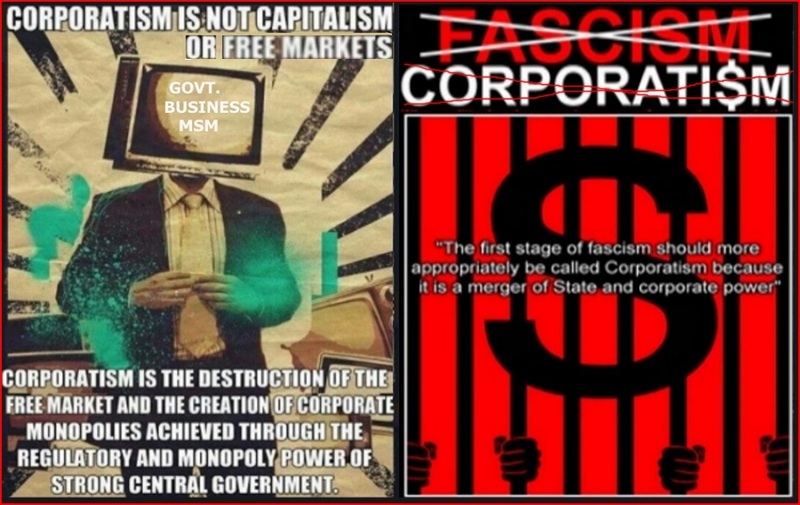 Their key to success has been to control and manipulate the money system of a nation, while letting it appear to be controlled by the government. The net effect is to create money out of nothing, lend it to the government and collect interest on it; a rather profitable transaction, to say the least. 13. People should be more familiar with the identities of these clever banking dynasties. They include such names as Barring, Hambros, Lazard, Erlangcr, Warburg, Schroder, Selingman, Speyers, Mirabaud, Mallet, Fould, Lehman, and above all, Rothschild, Rockefeller, and Morgan. 14. It should be noted that, while the Rothschilds and other Jewish families cooperated together in these ventures, this was by no means a Jewish monopoly as some have alleged. 15. Men of finance of many nationalities and many religious and non-religious backgrounds collaborated together to create this super-structure of hidden power. Its essence was not race, nor religion, nor nationality. It was simply a passion for control over other human beings. 16. It all started with a man called William Paterson who was a Scottish trader and banker. Paterson made his fortune with foreign trade (primarily with the West Indies) at the Merchant Taylors’ Company. 17. In 1694, he founded the Bank of England to act as the English government’s banker. England had just suffered through 50 years of war. Financially exhausted, the government needed loans to fund their political activities. 18. Paterson proposed a loan of £1.2 million (approximately $35.8 Billion in today’s money) to the English government. In return, his bank would receive privileges, which included the issuing of money notes. The English government soon endorsed this idea and the very first private central bank was born. 19. Through his privately owned bank, the central bank of England, William Paterson was able to issue and loan money to the English government out of thin air with interest, and his bank has been doing so ever since. 20. Fast forward to the 20th century. After two failed attempts, another group of bankers wanted to establish a private central bank in the United States of America. 21. It was December of 1910 and Senator by the name of Nelson Aldrich boarded a private rail car with six other men parked at a New Jersey train station. The destination? Jekyll Island off the coast of Georgia. (At that time, this Island was an exclusive retreat of the wealthy elite). 22. These six men were agents from the world’s three greatest banking houses: those of John D. Rockefeller, J. P. Morgan, and the Rothschilds. Together, they represented an estimated 25 percent of the World’s entire wealth. 23. Acting for the Rockefellers were Senator Aldrich and Frank Vanderlip. Representing the Morgan interests were: Benjamin Strong, Henry Davison, and Charles Norton. It should be noted that these three bankers went on to become Founding Members of the Council on Foreign Relations (CFR). 24. The dangerous CFR and how this subversive group has been working to destroy U.S. sovereignty since 1921. 25. But the most important figure, who actually ran the secret meeting, was Rothschilds’ agent, Paul Warburg (also a founding CFR member). 26. What came out of that meeting you might ask? The meeting went for nine days, and from that, these international bankers wrote the legislation that would grant to them a private franchise over this nation’s money system. 27. Of course, this group had to conceal the fact that it would be writing the legislation itself, and this presented some problems. The lengths it went to in order to hide its role reads like a scene out of a mystery novel. 28. Unfortunately, the Jekyll Island story didn’t leak until 1916, years after the damage had already been done. And even after it was exposed, “educators, commentators, and historians” continued to deny that the meeting ever took place. 29. Anyone who pointed out the nefarious origins and authors of the Federal Reserve Act was smeared and dismissed as a conspiracy theorist. Fortunately, the truth finally did come out, and the conspiracy theorists were vindicated. 30. Perhaps the most definitive admission came from Frank Vanderlip, President of the most powerful New York bank at the time (National City Bank, now Citibank) whom later went on to reveal his role in the writing of the bill that created the FED. 31. Despite this admission over 75 years ago, despite other participants and their biographers who have admitted the same, despite the fact that Federal Reserve Chairman (Ben Bernanke) returned to Jekyll Island in 2010 to commemorate the FED’s founding 100 years earlier. 32. Still the vast majority of people have never heard of the trip to Jekyll Island and have no idea that “international bankers” created the system that was supposed to protect them from international bankers. 33. The Federal Reserve’s origination at the Jekyll Island meeting is well-established. Today Jekyll Island is open to the public. You can visit the Jekyll Island Club Hotel, and sit in its “Federal Reserve Room” where the Fed was birthed. 34. Using government as its instrument, these criminals designed America’s central bank, crafting the name “Federal Reserve System” to deceive Americans. 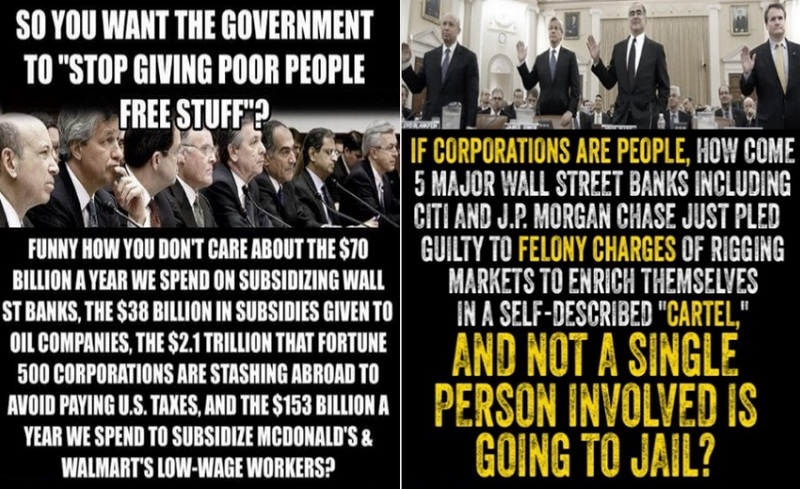 While “Federal” implied public control, it is in fact owned by private shareholders. 35. “Reserve” suggested it would hold reserves to protect banks, but it has no hard assets; only instruments of debt. “System” implied its power would be to diffuse (through regional Federal Reserve banks) whereas actual power would be centralized in the Board & the New York FED. 36. Sneaking the unconstitutional Federal Reserve System scheme into law to sell this scheme to the voters, these bankers created the propaganda line that the proposed banking law some how would work against the monopolies. 37. The bankers initially drafted the Federal Reserve as the “Aldrich Bill”, but when it came to Congress, they recognized Senator Alfred Aldrich’s name, became suspicious, and decided against passing the bill. 38. A newly packaged Glass-Owen Federal Reserve Act, which mirrored Aldrich’s version in “all essential provisions” was then put forward by Democrats as being radically different; a bill written by selfless public servants to protect the citizenry from selfish out-of-control bankers. 39. Politicians took up the cry “Banking Reform” and “Down with Wall Street”. And then, to make it look convincing, the very same people who helped author the legislation on Jekyll Island began speaking out publicly against it. 40. As the Federal Reserve Act moved closer to its birth, both Aldrich & Vanderlip threw themselves into a great public display of opposition. No opportunity was overlooked to make a statement to the press (or anyone else of public prominence) expressing their eternal animosity to it. 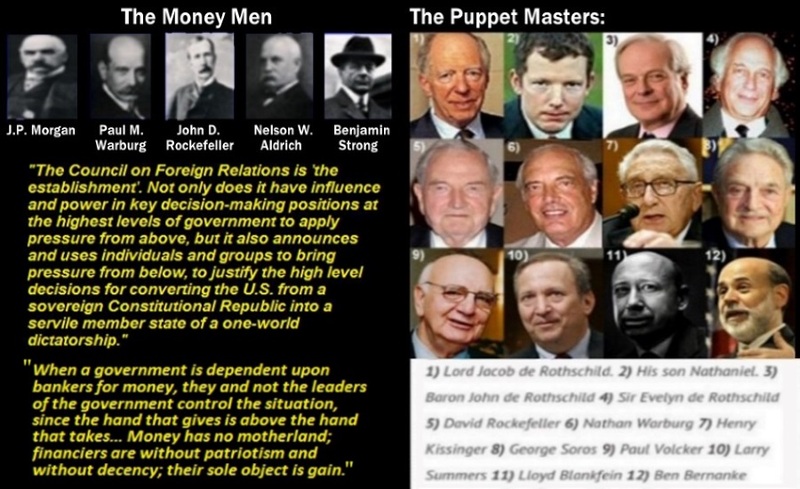 The Money Men, The Federal Reserve, The CFR, and Globalists. 41. Since Aldrich was recognized as associated with the Morgan interests and Vanderlip was President of Rockefeller’s National City Bank, the public was skillfully led to believe that the “big bankers” were mortally afraid of the proposed Federal Reserve Act. 42. The Nation was the only prominent news publication to point out that every one of the horrors described by Aldrich & Vanderlip could have been equally ascribed to the original Aldrich Bill. But this lone voice was easily drowned out by the great cacophony of deception and propaganda. 43. And as Vanderlip, Aldrich, and other “big-business Republicans” continued to attack the “new” legislation, more and more well-meaning Americans fell for the ruse. 44. In the waning hours of December 23, 1913 when most of Congress had already left for the holidays the Federal Reserve Act finally was passed into law. Something known as the Federal Reserve System came into being and with it total control of the nation’s money fell into private hands. 45. President Wilson named Paul Warburg (CFR member), vice chairman of the Federal Reserve Board (a position from which national interest rates would be set). Benjamin Strong (CFR member), was appointed to run the New York FED, the system’s nucleus. 46. The very men who had secretly planned the bank now controlled it. The “foxes” are/were in charge of the “hen house”. 47. Among the privileges that Woodrow Wilson received for the role he played in initiating the Federal Reserve, they printed his face on the largest U.S. dollar note ever issued, the 100,000 dollar bill. 48. They fashioned these money notes from December 1934 to January 1935 and used them for transactions between Federal Reserve Banks, not for circulation among the general public. 49. Quick sidenote on Senator Nelson Aldrich: You may not have heard of ‘Aldrich’ but you’ve probably heard of billionaire New York governor Nelson Rockefeller (also a member of the CFR) and one of America’s richest men and Vice President to Gerald Ford (whom also a CFR member). 50. His full name: Nelson Aldrich Rockefeller, named for his grandfather, Nelson Aldrich. Aldrich’s daughter married John D. Rockefeller, Jr., and his son Winthrop (also a founding member of the CFR), served as chairman of the Rockefellers’ Chase National Bank. 51. When Nelson Aldrich spoke on Capitol Hill, insiders knew he was acting for the Rockefellers and their allies in high finance. 52. In addition to Nelson Aldrich’s “Public service” of helping create a central bank in the U.S., it should be noted that he authored and led the conception of the 16th Amendment to the Constitution that authorized the imposition of the Federal Income Tax on American citizens. 53. This overachieving traitor accomplished this in the very same year he co-directed the conception of the FED. 54. Though now an accepted way of life, income tax was not always around. The original U.S. Constitution excluded it; in 1895 the Supreme Court ruled it would be unconstitutional. 55. Therefore, the only way these bankers could establish income tax was by legalizing it through a Constitutional Amendment. 56. Why did Americans accept income tax? Because it was originally only one percent of a person’s income, for salaries under $20,000 (the equivalent of about $500,000 in today’s dollars). 58. But you know what happened. Congress later dolefully informed Americans it needed to raise taxes a smidgen. A few smidgens later and, depending on bracket, we are losing 15, 25, 28, or 33 percent of our income to federal tax. 59. It is said that if you want to boil a frog, you can’t just toss him in theboiling water. Instead, you put him in lukewarm water, and gradually turn up the heat. Wall Street’s White-Collar criminals and bankers should be locked up. 60. That way, the frog never realizes he has been boiled. This, in effect, is what these traitors did to Americans, knowing that once we became accustomed to taxes, the amounts could incrementally be turned up to “boil”. It was a long-range plan. 61. It would logically follow that these rich bankers would never have wanted an income tax. After all, it “soaks the rich”; the wealthier you are, the more taxes you pay. 62. It is true that income tax is graduated. If an American today earns $100,000 or $200,000 per year, he or she usually owes lots of tax. But not the super-rich. The conspirators had no intention of paying substantial income tax. 63. How did these wealthy banking families escape taxes? The means were numerous, but a major one was placing their assets in tax-free foundations, and using their grants to advance their globalist agenda. 64. In summary, this is what happened. 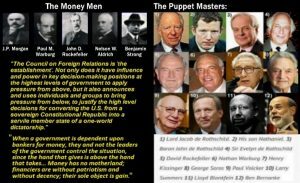 In 1913, these criminals created the Federal Reserve, which not only gave them control over interest rates and thus the stock market, but empowered them to create trillions of dollars from nothing, which they would then loan back to America. 65. Also in 1913, the criminals ended tariffs and installed income tax, enabling them to exact repayment on these interest-bearing loans to the government. Ever since, America has been immersed in skyrocketing debt, now said; officially, to exceed $22 trillion. 66. Incidentally, Washington politicians love this system. By letting the FED finance their expenditures with money made from nothing, politicians know they can spend without raising taxes. 67. When the FED produces more currency, making prices rise, who do we blame? Not the FED. Not politicians. Instead, we blame the local business or retail store. 68. “Why are you guys jacking up your prices again?” Or we blame the candy company for making a smaller chocolate bar, or the cereal company for putting less corn flakes in the box. 69. But these businesses are simply trying to cope with the same dilemma as We The People: inflation. The problem is not that prices are going up, the problem is everytime the FED creates money from nothing it increases the amount of money in America, thereby decreasing money’s value. 70. For the banking elite, the system meant endless profits, but for the rest of us, it is a hidden tax. And it is more unfair than conventional taxes, which are scaled by income. Inflation affects all equally, making no exceptions for the needy. 71. In America today, many young couples work hard. Commonly, both spouses hold jobs and can barely pay the rent. 72. When great grandpa came to America, income tax didn’t exist. Today’s average workers lose up to 50% of their pay to taxes: fed income tax, state income tax, SSN tax, real estate tax, sales tax, excise tax, utilities tax, et al. 74. That is why, following 250 years of stable prices, we have had punishing inflation since the FED’s birth in 1913. Every effect has a cause. 75. The price levels from 1774 – 2012. Note there was no net inflation for the first 113 years (only inflationary blips during wartime that returned to its normal value). Then, in 1913, with the creation of the FED, our money began to rapidly and permanently lose its value. 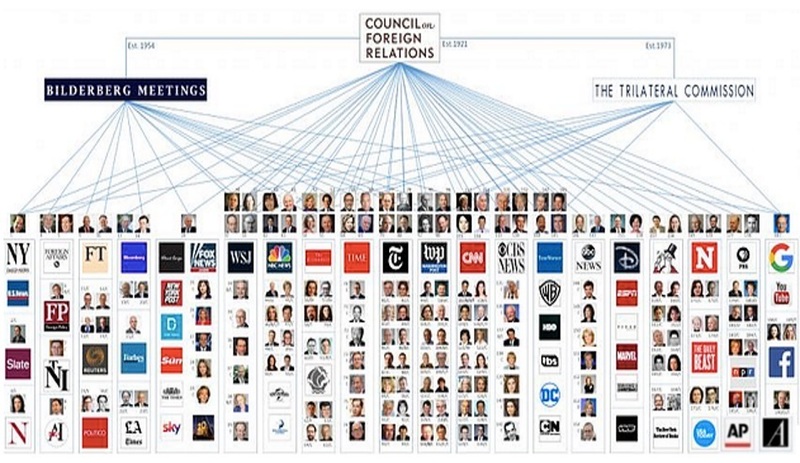 The Council on Foreign Relations(CFR) equals Treason. 78. Therefore in 1913, the United States enacted two of Marx’s conditions for a communist dictatorship. Income tax and central banks have nothing to do with free enterprise or the American way of life. 80. The Federal Reserve Act illegally and unconstitutionally transferred this authority from our elected representatives to private bankers. 81. As President Thomas Jefferson warned us in 1809: “I believe that banking institutions are more dangerous to our liberties than standing armies; if the American people ever allow private banks to control the issue of their currency. 84. Some people think the Federal Reserve Banks are United States Government institutions. They are not Government institutions. They are private credit monopolies which prey upon the people of the United States for the benefit of themselves and their foreign customers. 85. They are the agents of the foreign central banks. Every effort has been made to conceal its powers but the truth is the FED has usurped the government. It controls everything here (in Congress) and controls all our foreign relations. It makes and breaks governments at will. 86. Congressman James Traficant, addressing the House about the FED: “Their lust is for power & control. Since the inception of central banking, they have controlled the fates of nations. The FED is a sovereign power structure separate and distinct from the federal U.S. government. 89. This has been going on for over 100 years without the “informed knowledge” of the American people, without a voice protesting loud enough. 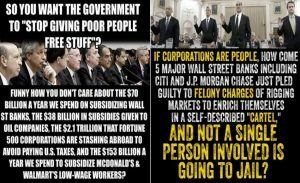 Now it is easy to grasp why America is fundamentally bankrupt. Our children will inherit this unpayable debt and the tyranny to enforce paying it. 90. Unwittingly, America has returned to its pre-American Revolution, feudal roots. Once again, We The People are the tenants and sharecroppers renting our own property from a Sovereign in the guise of the Federal Reserve Bank. We the people have exchanged one master for another. 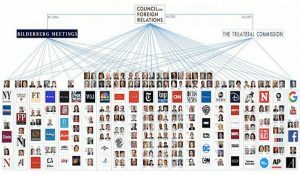 Shut down the CFR and their Globalist Media Empire. 91. 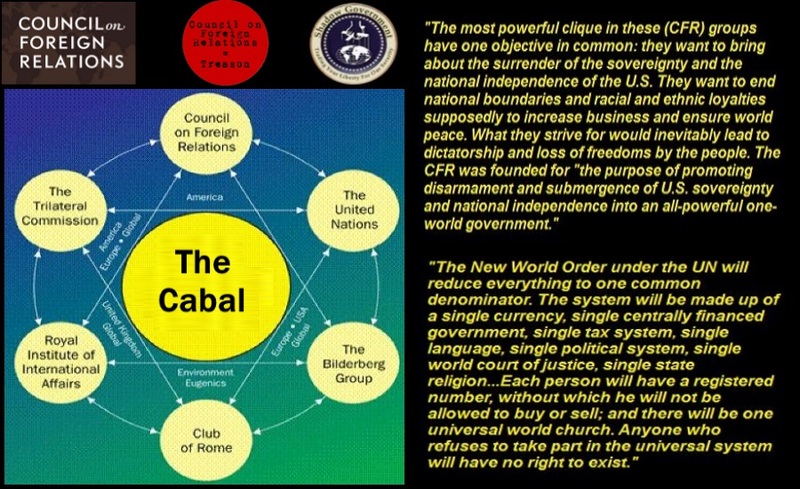 Senator Barry Goldwater posed the following question: “Does it not seem strange to you that these men just happened to be CFR (Council on Foreign Relations) and just happened to be on the Board of Governors of the Federal Reserve, that absolutely controls the money and interest. 92. Make no mistake. As of 1941, the financial powers behind the FED and the CFR have already secretly achieved complete dominance over America. As described by U.S. Senator George Norris in a congressional speech on November 30, 1941 rates of this great country. 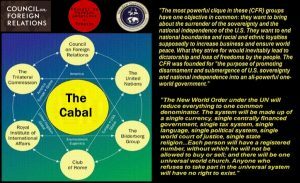 “A privately-owned organization which has absolutely nothing to do with the United States of America.” The origins of this CFR organization has been whittling away at our national sovereignty for over a century. 93. It is important to understand that these same criminals described by U.S. Senator George Norris were also behind the hijacking of the media and free press in our country in 1915. 97. Let us look briefly at how the Federal Reserve criminals intentionally caused the Great Crash of 1929. 102. The combination of higher interest rates, called loans and short-selling caused a plunge that snowballed into a complete panic. 103. Were stocks unloaded on the people at high prices, then bought back at low prices after a panic? Yes. The “day of reckoning” Lindbergh predicted came with “Black Thursday” and the Great Crash of 1929. 104. Afterwards, the international banking criminals moved back into the market, exactly as Congressman Lindbergh had predicted. They bought up stocks that once sold for $10 per share at $1 per share, widening their ownership of corporate America. 105. The October 1929 stock market collapse wiped out millions of small investors; but not the conspirators of the FED. These banking criminals and other top insiders had exited the market. 106. Friendly biographers attribute this to their fiscal “Brilliance”. But it was actually fiscal foreknowledge, of the Federal Reserve policy they were now controlling. 109. Further verification that even this was a calculated event, is found in the writings of William Jennings Bryan, who was U.S. Secretary of State under Woodrow Wilson, who described this criminal event by the FED. It is now time to quit talking and begin doing the right stuff. It is time to start attacking the root of the problems. Talk is cheap. What you do is more important than what you say. It is the “what” you do that makes all the difference. Substance is what matters/counts. Winners take responsibility when something goes wrong; losers point fingers and blame others. Leaders are men and women who take action. Talk with no substance and truth is worthless. Be a man or woman of action not just words. Earn respect through your actions. All the so-called “secrets of success” will not work unless you do. The following list of recommended solutions and substantive action plan, when implemented immediately, would jump start the economy and our country. This will get us back on track and moving in the right direction. 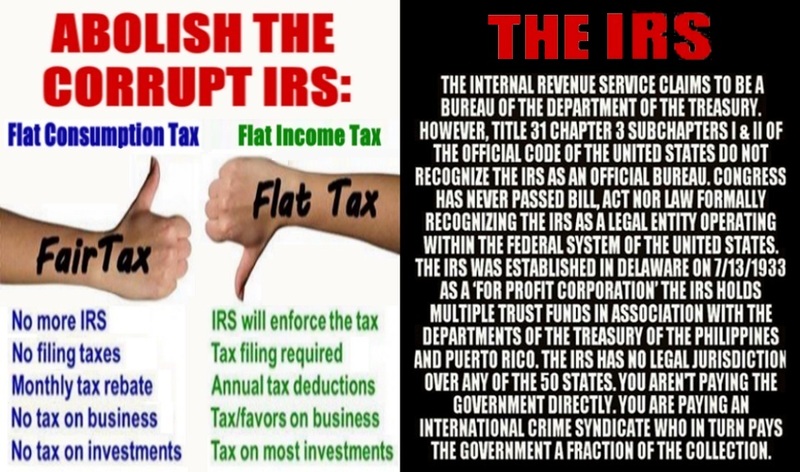 Move to a FairTax (a Flat Consumption Tax), abolish the IRS, and get rid of Corporate Tax evasion and abuse. 1. It is now time to lower taxes to promote growth and create jobs. The highest total individual and corporate income tax rates should be reduced from 35% (2ndhighest rate in the World) to 20% to empower and strengthen U.S. corporations and workers to compete and excel against foreign workers, companies, and countries around the globe. There should be three individual and corporate tax rates on earned income–10% on earned income less than $50,000; 15% on earned income between $50,000 and $200,000; and 20% on earned income greater than $200,000. You should keep the current top five itemized deductions. There will be NO taxes on all dividend, interest, and capital gains income. 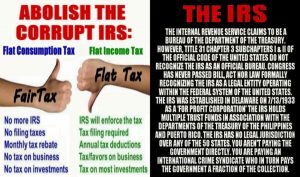 If Congress and the government cannot get the above successfully implemented and without abuses, then we should just go to a FairTax (i.e., Flat Consumption Tax) instead. This would have the greatest impact on job creation, lowering the unemployment rate, stimulating the economy, and sustaining growth in the near and long-term. It is time for the President/Congress/Treasury to start doing their job(s) and start doing the right stuff. The Seven Signs of National Judgment. 2. You do not need Obamacare or anything like it to fix the current healthcare system. Obamacare just increases costs and premiums while reducing coverage and benefits on their patients/customers and wastes more taxpayer money on government subsidized health plans. Obamacare was a sellout to the healthcare and drug companies who got their dollars worth via campaign contributions and a government bailout. This is the epitome of corporate greed, crony capitalism, and crony politics. The health benefit/insurance companies are the most grossly overpaid and over compensated “middlemen” and intermediaries for what they actually do and the services rendered and performed. It is time to get rid of this government supported and subsidized excessive cost model that does not work for the benefit of patients, doctors, hospitals, or anyone; except for the health benefit/insurance companies. The patients’, customers’, and doctors’ costs have gone up exponentially and coverage/benefits have been cut. This only benefits the health benefit/insurance companies. This model is broken because of corporate greed, crony capitalism, and crony politics. The solution lays directly in front you. It resides in the federal and state discrimination laws of the USA. The health benefit/insurance companies have been getting away with “bloody murder” and violating the discrimination laws of this country. The full force of these discrimination laws need to be applied to the health benefit/insurance companies and then enforced. You need to pass a law preventing the health benefit/insurance companies from discriminating against people with preexisting conditions and charging them higher premiums and deductibles. The profit motive and being public companies has clouded their judgment and principles on what they are supposed to be doing and accomplishing. Their primary function and job will be to provide high quality and affordable medical and dental benefits and care (i.e., low cost premiums, low deductibles, and full/comprehensive benefit packages and services) to everyone regardless of preexisting conditions. It is time for the President and Congress to start doing their job(s) and start doing the right stuff. 3. You cannot print your way to prosperity, but you can pave the way to an economic collapse. The Fed printing money is not a sign of economic ‘strength’ but of tremendous weakness. The Federal Reserve and Treasury need to institute a credible and stable strong dollar/greenback policy (i.e., actions not just words). Abolish the Federal Reserve. 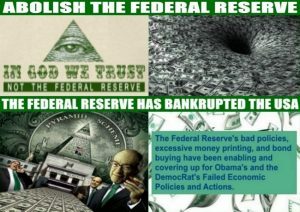 The FED has bankrupted the USA. 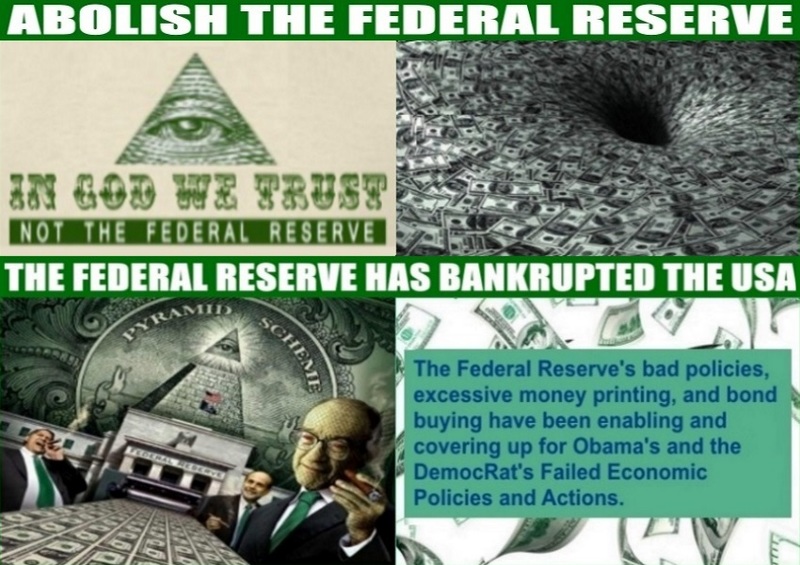 The Federal Reserves’ cover up of Obama’s and the Democrats’ bad economic policies and actions. Remember inflation is purely a monetary phenomenon: If a central bank or government prints too much many; you’re in trouble; if it doesn’t, money retains its value. Currently, you need to raise interest rates to where the market is dictating in order to stabilize and strengthen the dollar. In the near term it is time to anchor the dollar back to gold. A stable and strong dollar/greenback policy is an essential foundation for a lawful society and for economic progress. The best, most immediate measure of the true value of the dollar—or any currency—is gold. Currently, trying to create a strong dollar by controlling the money supply by itself is a waste of time and effort. A strong dollar is equal to a strong and powerful United States of America (USA). 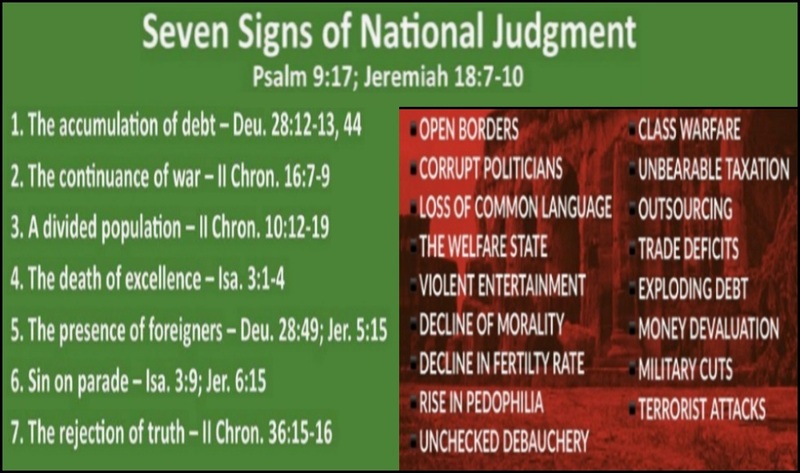 It is time for the President/Congress/Fed/Treasury to start doing their job(s) and start doing the right stuff. 4. You do not need the Dodd-Frank Act and plan either. It is not smart legislation and is too weak. The Dodd-Frank Act is a gift to the big Wall Street banks. This does nothing to fix the root of the problem. The following will solve the root of the problems: 1) You need regulators to start doing their jobs. 2) You need to implement/enforce items 6 through 12 outlined below. 3) You need to bring back the Glass-Steagall Act and laws right away. 4) All of the Exchanges that are now public companies will be taken private. They will become private and nonprofit organizations with their primary functions and responsibilities being: integrity, accountability, honesty, ethics, regulation, enforcement, monitoring, security, technological innovation, and an efficient and effective marketplace. They will be merged/consolidated into 5 primary Exchanges. This will effectively prevent the profit motive and the incentive to be in bed with all of the investment banks, hedge funds, and other financial firms clouding their judgment and compromising their principles on what they are supposed to be really doing. It is time for the President/Congress/SEC/Exchanges to start doing their job(s) and start doing the right stuff. 5. It is now time to aggressively and decisively move the United States of America (USA) to energy independence through the development and procurement of Natural Gas and Nuclear energy. These are our two best energy options/solutions. It is time to start getting our priorities in order and focus our resources, ingenuity, intelligence, and effort on the correct path, direction, and solution. The best overall energy breakdown for the USA now and in the future will be: Bio-fuels (5%), Coal (5%), Natural Gas (30%), Nuclear (35%), Brent Crude Oil/WTI (10%), Solar (10%), and Wind (5%). This breakdown will allow America to move faster, more intelligently, more successfully, and more cost effectively to energy independence. It is time for the President/Congress/U.S. Energy Dept./U.S. Defense Dept. to start doing their job(s) and start doing the right stuff. 6. The “Uptick Rule” on any traded security (i.e., equities, ETFs , etc.) needs to be restored/reinstated and implemented on all domestic and global exchanges and financial markets immediately. Without the original “Uptick Rule” (i.e., based on the “Last Sale” price published on the tape and at an “uptick” price change of 12.5 cents) in place, it creates an unfair and imbalanced playing field that favors the short sellers. This gives short sellers the ability to drive stock prices down to nothing. The exchanges are guilty and responsible for this problem as well as others due to the profit motive. All the SEC needs to do is restore/reinstate the original “Uptick Rule” based on the “Last Sale” price published on the tape. Anything else and currently what the SEC is proposing by using the “Best Bid” price would not fix anything and would cause more problems and manipulation. The Exchanges/Markets were not meant to be casinos. Restore the original “Uptick Rule” and the markets will stop crashing and stop being manipulated by the HFT and Dark Pools software and other algorithmic trading software at the largest investment banks, trading firms, and brokers-dealers. The Exchanges/Markets profit motive and conflict of interest prevents them from fixing these problems and banning HFT, Dark Pools, After Hours Trading, Leveraged ETFs and reinstating the original “Uptick Rule“. 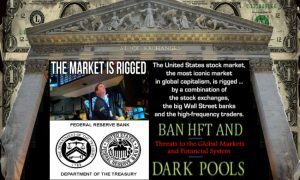 If you ban HFT, Dark Pools, and After Hours Trading you will create and ensure a fair and level playing field for all investors. In addition, the SEC and Exchanges need to end payment for order flow. The exchanges, investment banks, and broker-dealers are making a lot of money at the expense of the Individual Investor, the public, and the safety/reliability of the marketplace. No and low market volume means no confidence and no trust in the markets. It is time for the SEC and CFTC to start doing their job and start doing the right stuff. We want Free Markets, Not Crony Capitalism Or Corporatism. 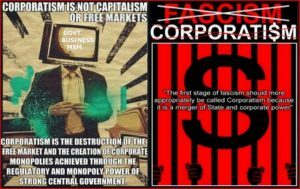 Corporatism is Not Capitalism. 7. All ETFs should have the same SEC/FINRA/CFTC/NYSE/NASD reporting, filing, and regulatory requirements as Mutual Funds. ETFs will need to comply with all of the Rules and Regulations of the Investment Company Act(s) of 1933, 1940, and all their later amendments. You should not be allowed to buy/sell/write options, derivatives, and/or futures contracts on all ETFs. It is time for the SEC/FINRA/CFTC to start doing their job(s) and start doing the right stuff. 8. It is now time to restore the public’s and investor’s trust and confidence back in our markets and exchanges. This can be accomplished by getting rid of and abolishing all HFT, Dark Pools, After Hours Trading, Leveraged ETFs, and reinstating the original “Uptick Rule“. It is time to take casino gambling out of the markets and exchanges. We should merge and consolidate the markets/exchanges into between 5 to 8 major consolidated and regulated markets/exchanges. It is unacceptable to have between 13 to 16 fragmented and unregulated exchanges/markets. This is out-of-control and needs to be fixed. Circuit breakers do not work and are useless. The Exchanges/Markets profit motive and conflict of interest prevents them from fixing the problems and banning HFT, Dark Pools, After Hours Trading, Leveraged ETFs, and reinstating the original “Uptick Rule“. If you ban HFT, Dark Pools, and After Hours Trading you will create and ensure a fair and level playing field for all investors. In addition, the SEC and Exchanges need to end payment for order flow. The exchanges, investment banks, and broker-dealers are making a lot of money at the expense of the Individual Investor, the public, and the safety/reliability of the marketplace. No and low market volume means no confidence and no trust in the markets. It is time for the SEC and CFTC to start doing their job and start doing the right stuff. 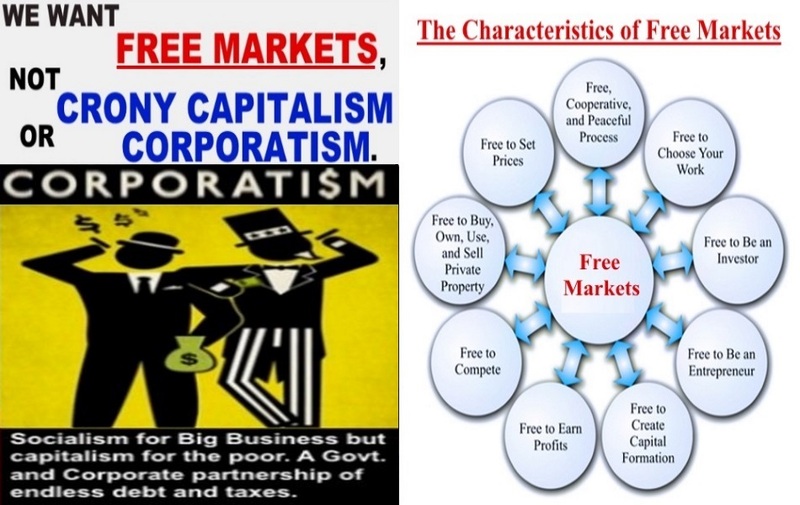 Corrupt Corporatism is not Capitalism or Free Markets. 9. All leveraged ETFs should be abolished or banned. The SEC should have never approved these products to trade on the Exchanges and in our financial markets. All regulation needs to take place directly at the product level. This is where the problem(s) originate and continue. These products should only exist at Casinos. They promote and encourage gambling and market manipulation. These products do not perform as specified and their claims are fraudulent. They promote negative price fluctuations and volatility on the underlying securities and indices and perpetuate a disorderly and unreliable marketplace. It is time for the SEC/FINRA/CFTC to start doing their job(s) and start doing the right stuff. 10. All of the additional changes made to the Commodity Futures Modernization Act (CFMA) between 1995 and 2000 need to be reversed. The legislation provided the certainty that products offered by banking institutions would not be regulated as financial futures contracts. It also allowed for the deregulation of financial derivative products (i.e., CDS, CDOs, Auction Rate Securities, etc. ), which have been destructive to our financial markets. It is time for the Congress/SEC/FINRA/CFTC to start doing their job(s) and start doing the right stuff. 11. All of these products are defined as securities–notes, stocks, preferred stocks, treasury stocks, bonds, debentures, options, investment contracts, certificates of deposit, warrants, rights, variable annuities, and collateral trust certificates—and are therefore required to be registered with the SEC. However, currently–fixed insurance policies, fixed annuities, futures/commodities contracts, financial derivatives, precious metals, Credit Default Swaps (CDS), Credit Default Obligations (CDOs), Exchange Traded Funds (ETFs), and Exchange Traded Notes (ETNs)–are not considered to be securities by the Supreme Court’s “Howey Decision”, therefore, they do not need to be registered with the SEC or anyone. This is a loophole that is open to abuse and needs to be closed immediately. All of these products definitely meet the criteria to be considered securities and therefore should be required to register with the SEC. There should be no exceptions. All of these products should have to be registered with the SEC as securities and listed/traded on a regulated U.S. Exchange with a clearinghouse. It is time for the Congress/SEC/FINRA/CFTC to start doing their job(s) and start doing the right stuff. 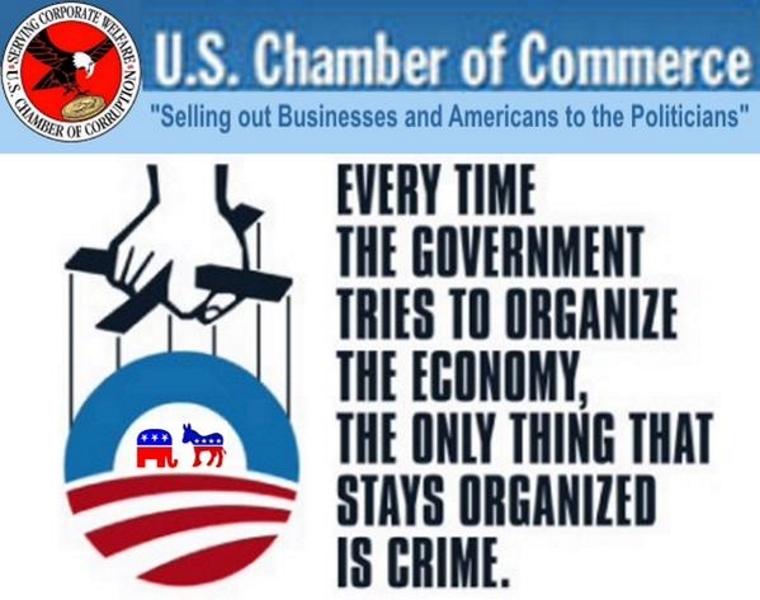 The U.S. Chamber of Commerce with Obama, Democrats, and Republicans is fraud, corruption, and selling out businesses and Americans to the politicians. 12. All Hedge Funds, Private Money Management firms, and Broker-Dealers doing business within the United States of America (USA) should have to be registered with the SEC and FINRA as a Registered Investment Advisor (RIA) and Fiduciary with no exceptions. It is time for the Congress/SEC/FINRA/CFTC to start doing their job(s) and start doing the right stuff. All of these key changes need to be made in order to bring order and integrity back to the markets, protect investors, and restore confidence in our financial system. These changes are immediate “hits” with huge positive impacts for the economy, the markets, investors, companies, and economic recovery. Also, they require no $700 billion bailout packages and additional quantitative easing to implement; just smart policy and regulatory changes that can be implemented immediately with little effort or time. What we need now is solid, simple, and substantive solutions and that is exactly what I am proposing. If the above 12 recommended changes are made (i.e., action not words), you will see the markets and the economy rally beyond belief and confidence/hope return to the economy. This page took 0.523 seconds to load.